Sunflower Continental Ranch is in Marana AZ. Marana is in the Northwest area of Tucson. Sunflower is a 55+ active adult built by Del Webb. Residents have easy access to the I 10 freeway. Trips to Tucson are less than 20 minutes. Phoenix is an hour drive north. The amenities in the immediate vicinity of Marana and downtown Tucson are easy to get to. Sunflower Continental Ranch offers residents a range of activities. This is a warm and friendly community. The central clubhouse provides a place for new comers to get acquainted quickly. Sunflower is nestled in the foothills of Safford Peak. This is adjacent to the Saguaro National Park. 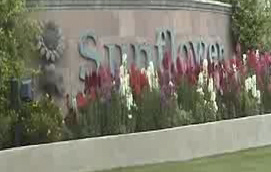 With 967 homes, Sunflower is a smaller community. See ALL Sunflower Homes for Sale! Sunflower Continental Ranch is at the base of the Tucson Mountains. Sunflower is a one part of the greater Continental Ranch master-planned community. A community that will have over 5,000 homes. This very active community features lighted tennis courts with a “Pro-Bounce” surfaces. A state-of-the-art fitness center. There is also a heated pool and spa. The clubhouse has computers, billiards, crafts and game rooms for the residents’ enjoyment. Sunflower Continental Ranch is minutes from Tucson’s world-class medical facilities. Sports at the University of Arizona, arts and entertainment are nearby. Sunflower offers homeowners easy accessibility to Tucson and Phoenix. Two international airports are easy to get too. Tucson International and Phoenix International. Considering A Home In Sunflower Continental Ranch? Are you thinking of buying a home in Sunflower Continental Ranch or another area of Tucson? Finding the right home can be a challenging process. But the right realtor it will make the process much less stressful. The active adult community of Saddlebrooke is 8 miles north of Oro Valley, AZ. Saddlebrooke homes have more amenities and activities including golf. Looking for retirement communities in Tucson? We can help!